It’s finally here! Roomzzz Manchester Corn Exchange is finally available for booking! 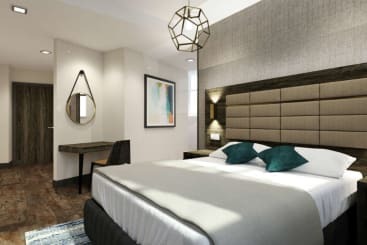 Some of you have already been lucky enough to pick up a room for only £10 in our special launch offer; but, if you missed out, there are still plenty of reasons to stay in our gorgeous, brand new, self-catering luxury apartments. The fact that they’re great value for money is only one of the big selling points of this place. Here’s everything you need to know about Roomzzz Manchester Corn Exchange. When Does Roomzzz Manchester Corn Exchange Open? 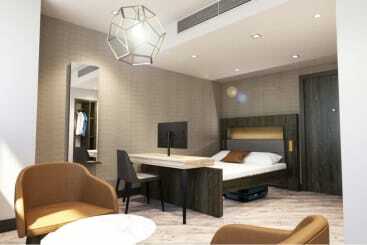 Our brand new hotel in Manchester opens on 12th February 2018! It’s been a long time in the making and we can’t wait for you to see it. What’s The Location Of The Hotel? 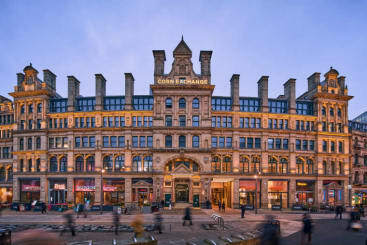 The new Roomzzz hotel in Manchester is located in the beautiful Corn Exchange. 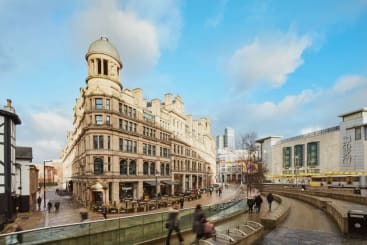 It’s easy to reach via the tram at Exchange Square, and Manchester Victoria train station is only a 3 minute walk away. Selfridges, Harvey Nichols and the Arndale Centre are literally across the road so you don’t have go far to shop until you drop. What Are The Rooms Like In Roomzzz Manchester Corn Exchange? Our Neo studio is the perfect fit for a couple wanting a cosy weekend away in Manchester. All Neo Studios come with a king size bed, wardrobe, safe, desk, and a living area with comfortable chairs and a coffee table. 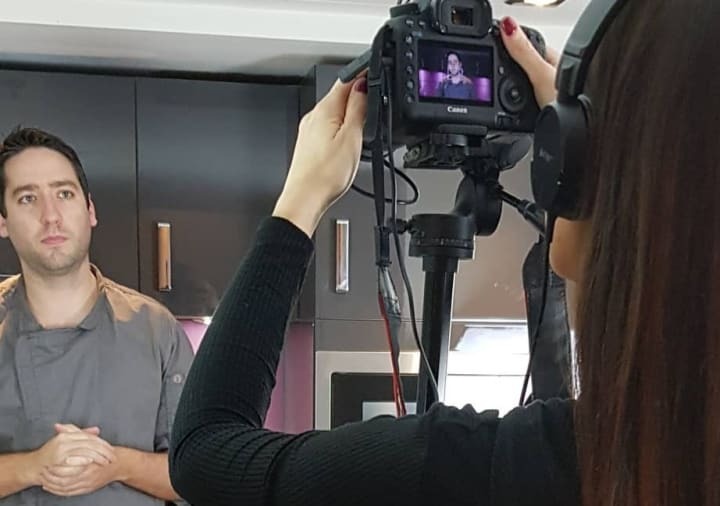 The Neo Studio also has a fully fitted kitchen so if you don’t want to go out for dinner, you can always cook and enjoy a meal in. The en-suite bathroom also features a walk-in rain shower and luxury White Company Toiletries. Perfectly formed like the Neo but with a little more space, the Smart is planned out to ensure you’ve got all the room you need to enjoy your stay. There are bedside tables, a sofa, and more storage space for your belongings in this light and airy apartment. If you want space to spread out, opt for our Grande rooms. These self-catering apartments are double the size of the Smart studios and include a dining table and chairs so you can really make yourself at home. The feature walls in the Grande apartments also give the feel of separate living and sleeping areas meaning you can fully relax at the end of the day. The Elegance is a true luxury one-bed with its apartment style layout. With a separate bedroom, the Elegance means you can truly feel at home in the living area where there’s a proper oven, bigger hob and a dining area. These rooms are ideal for longer stays or for those wanting to live the city apartment life for a night or two. Some Elegance apartments come with a bath but all benefit from a rainfall shower in the en-suite bathroom. There are 3 penthouse suites in Roomzzz and all are so unique, you’ll want to stay in them all. Each penthouse suite is individually designed around the features of the Corn Exchange. That means we can guarantee you won’t have experienced anything like this before. Split out onto two levels, the Farthing Suite has a spacious open plan dining and living area on the bottom floor and a bedroom with en-suite bathroom on the top floor. This one is the room to use if you’re really wanting to treat yourself to a luxury apartment in Manchester. Located on one level, the Guinea Suite is the ultimate in open plan luxury. It’s on the top floor of the building and comes with a free standing bath in the bedroom and 360 degree views of the city. Just like an Elegance Suite but with a relaxing bath to soak in at the end of the day. The Shilling Suite provides great views of Manchester from its top floor location and is split out into 3 separate spaces – the living area, bedroom, and the bathroom. You’ll really feel like you’re coming home at the end of the day when you’re in the Shilling Suite. If you’re really wanting to make your stay in Manchester special, the Sovereign Suite will be the way to create a memorable trip. The most unique out of all our rooms, including the Penthouse Suites, the Sovereign Suite is split across two levels, features a spiral staircase, and has a turret where you can enjoy panoramic views of Manchester. 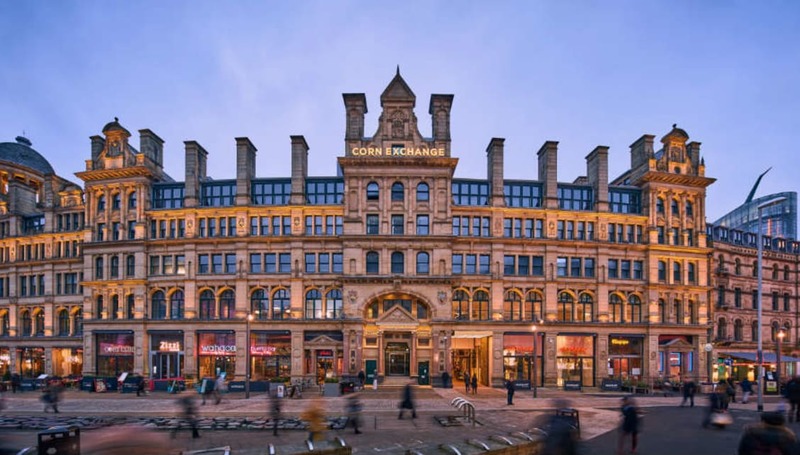 What Amenities Are There In Roomzzz Manchester Corn Exchange? Roomzzz Aparthotel in Manchester has everything you need. There’s a 24 hour Essentialzzz shop where you can grab treats, drinks, or ready meals. 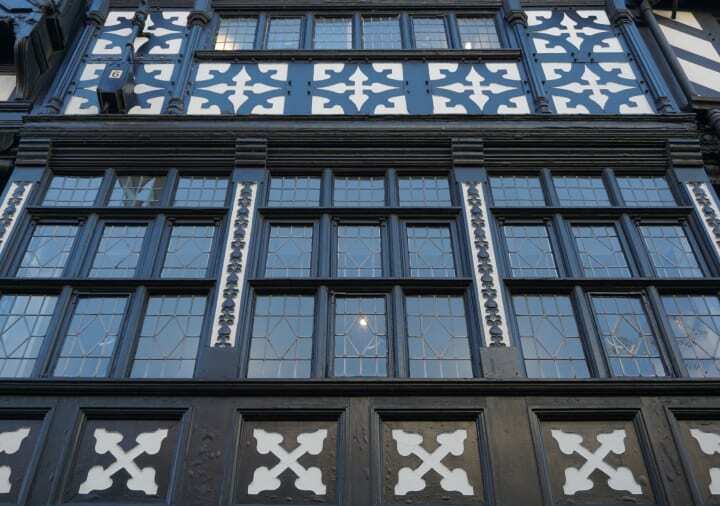 Our 24 hour concierge will be able to give you insider local knowledge on where to go and what to do in Manchester. And there’s a free Grab & Go breakfast with fresh pastries and coffee! Are There Many Places To Eat Nearby? You’re in the best place to get dinner in Manchester. The Corn Exchange is home to 14 restaurants so there’s a lot of variety to choose from. 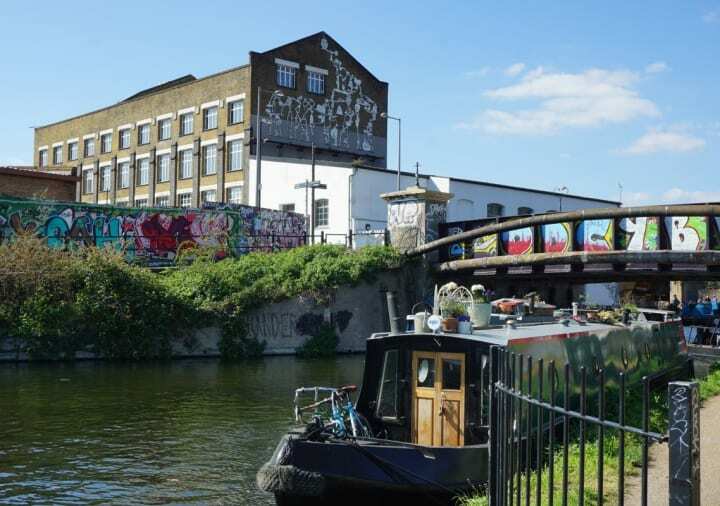 On the list there’s Alston Bar and Beef, Banyan Bar and Kitchen, Byron, Cabana, The Cosy Club, Gino d’Campo, Mowgli, Pho, Pizza Express, Salvi’s, Tampopo, Vapiano, Wahaca, and Zizzi. There are more restaurants just a ten minute walk away in the Spinningfields area of Manchester. Here you’ll find Fazenda, Carluccio’s, The Alchemist, Manchester House, Iberica, Tattu, The Refinery, Neighbourhood, Comptoir Libanais, Thaikhun and Australasia. Of course, there are plenty of places to eat in the centre of Manchester too, you only have to walk around to find somewhere to dine. Is Roomzzz Manchester Corn Exchange Near Public Transport? If you’re travelling to Roomzzz Manchester by train, plane or bus, it couldn’t be easier to get to the aparthotel. Roomzzz is a 3 minute walk from Manchester Victoria train station and is easily accessible from Manchester Piccadilly by tram. If you’re flying into Manchester, there’s a convenient train direct from Manchester Airport to Manchester Piccadilly. This only takes approximately 23 minutes so you’ll be in the city centre in no time. There are also buses around the city and to further afield places but travelling around Manchester city centre is definitely easiest by tram. If there’s one thing for certain, you’ll never be bored in Manchester. Head to Dog Bowl for a hipster-style bowling experience, go on a night out in The Northern Quarter, or wander around The Lowry or Whitworth Art Gallery to check out some beautiful artwork. There are also many festivals and concerts on throughout the year so it’s worth asking our 24-hour concierge what’s on when you arrive at Roomzzz Manchester Corn Exchange! Are you visiting in Manchester soon? If Roomzzz Manchester Corn Exchange looks appealing, you can book online today! Don’t forget, if you join our Royalty Club, you’ll save 15% on your booking and any booking you make direct with us in the future!